An attractive table top lectern made from real wood veneered boards. Shown in Maple with Cherry edging. 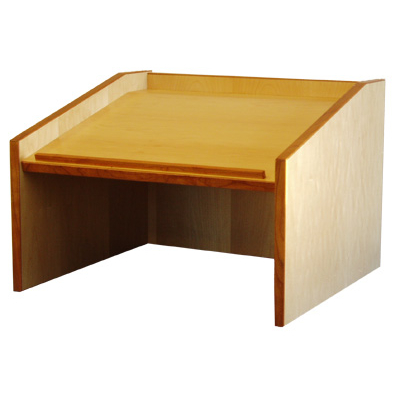 Height 380mm, desk size 540 x 490mm, with flat area on top 80mm wide for a glass of water etc. This lectern is made to order. The lead-time is 4 weeks.